It's been great to New Zealand crime fiction on the menu at all the major New Zealand arts/books festivals this year - from the Hamilton Garden Arts Festival, to the New Zealand International Arts Festival in Wellington, the Auckland Writers and Readers Festival, and the recent Christchurch Writers Festival. Our four biggest cities all included local crime writers in their festivals in 2012 - which I think might be a first. This weekend the trend continues, with another terrific New Zealand crime fiction event at the fantastic Going West festival's Books and Writers Weekend in Titirangi (west Auckland). 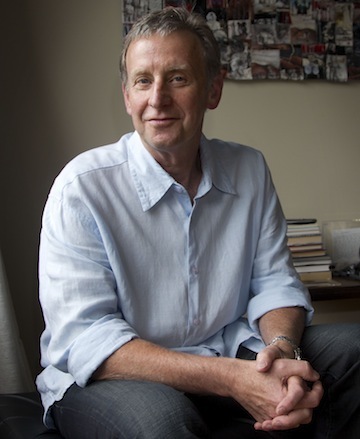 Acclaimed and award-winning New Zealand crime writer, biographer, and columnist Paul Thomas will be speaking about his crime and thriller titles on Sunday afternoon. Thomas is 'the godfather' of contemporary New Zealand crime writing, the man credited with dragging our local version of the crime and thriller genre into the modern world with his witty, life-filled tales in the mid 1990s. He even won the inaugural Australian crime writing award, the Ned Kelly Award, for INSIDE DOPE, his second crime novel. After a decade-long absence, he returned to the scene earlier this year with the well-reviewed DEATH ON DEMAND. Thomas will be onstage at the Titirangi War Memorial Hall at 2pm this Sunday, 16 September 2012. You can read more details about his session here. For more about Thomas and his return to crime writing, click here.